Kingsley came to BHGH in 2013 and is currently a sophomore. Kingsley and his twin brother are gifted soccer players for Cincinnati United. 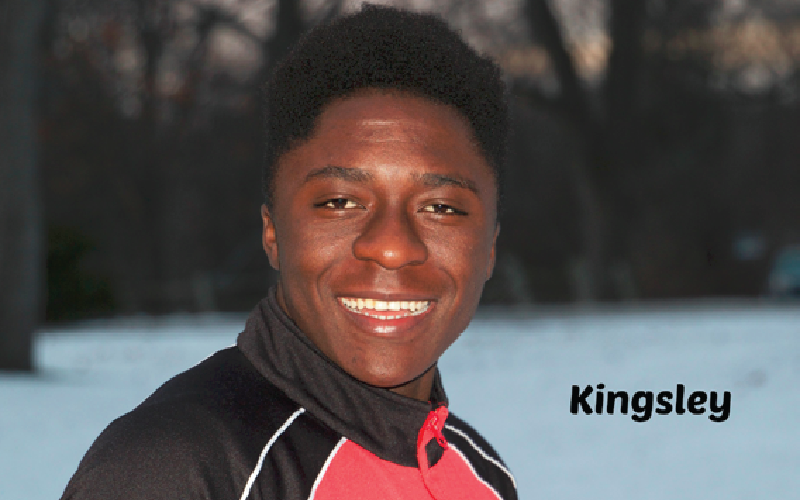 Kingsley is interested in business and aspires to work in the business field one day, possibly sports business. BHGH has given him the opportunity to achieve his goals through a good education and sports. He hopes to do well in high school and then attend college.